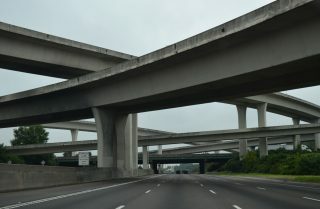 A large systems interchange, locally known as “Spagetti Junction” connects Interstates 85 and 285 on the northeast side of Atlanta. Photo taken 08/10/13. The Tom Moreland Interchange between Interstates 85 and 285 was constructed as part of the 1976-94 “Freeing the Freeways” megaproject undertaken in the Atlanta metropolitan area. The high-speed interchange was completed in 1987 to replace a full-cloverleaf interchange between the two freeways. 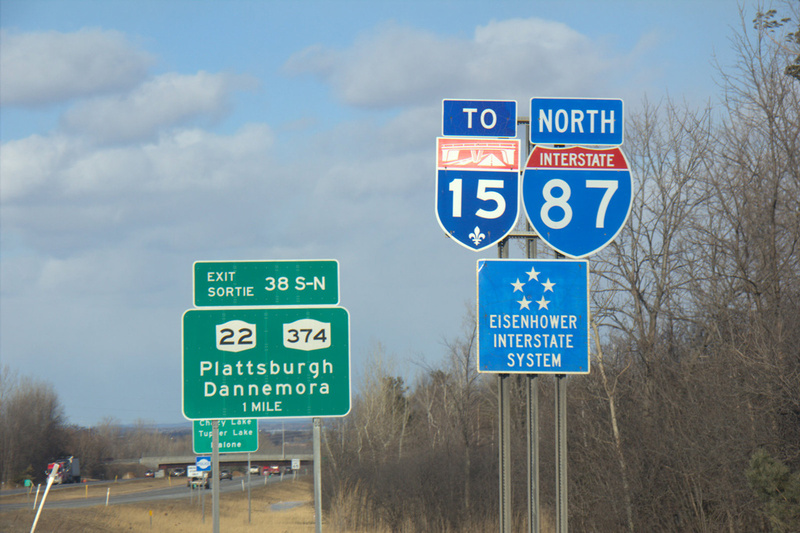 Autoroute 15 trailblazers appear periodically as Interstate 87 exits the Adirondacks Region for Quebec, Canada. Photo taken by Shaun Ganley (03/18/15). 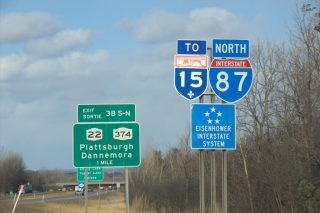 Exit tabs for Interstate 87 from New York 9N (Exit 34) northward are bilingual as an aid to French Canadian motorists headed north toward Montreal.